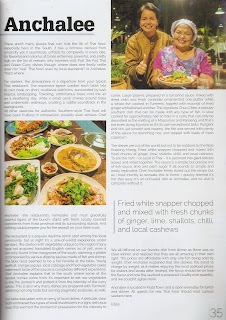 There aren't many places that can rival the lilt of Thai food, especially here in the South; it has a richness derived from simplicity yet it seamlessly unfolds its complexity in every bite. its flavorful and colorful. at times extremely powerful. and pretty high on the list of reasons why travelers visit. Past the Pad Thai and Green Curry dishes though, where does one ﬁnally settle down for "real" Thai food. even by local standards? At Anchalee. That's where. For starters. the atmosphere is a departure from your typical Thai restaurant. The expansive space cradles each table into its own nook on short, multilevel platforms, surrounded by lush tropical landscaping. Towering, umbriferous trees cool the air on a sweltering day, while a small canal snakes around trees and underneath walkways. creating a subtle soundtrack in the background. All other searches for authentic. Southern-style Thai food will have been fruitless in comparison. possibly even aimless. Chef Anchalee -the restaurant's namesake and most gracefully colorful ﬁgure of the bunch- starts with fresh. 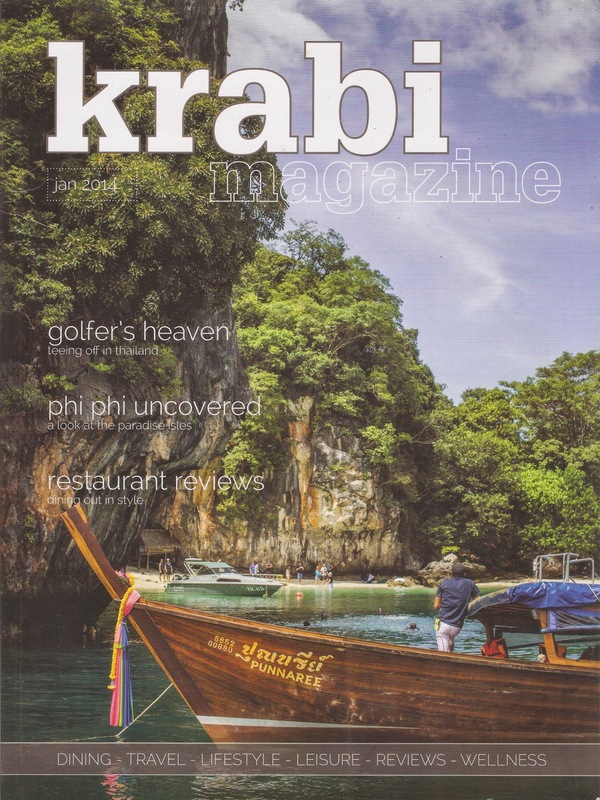 locally sourced ingredients from Krabi province and its surrounding islands. And nothing could prepare you for the assault on your taste buds. The restaurant is a popular daytime lunch spot among the local community, but at night it's a one—of-a-kind experience under the stars. We started with vegetables unique to the region (many have not acquired translated English names as of yet). even a fern only found in the mangroves of the south. adorning a platter accompanied by various dipping sauces made of ﬁsh and shrimp. The Bpla Goot seemed to be a fan favorite at the table. Young jackfruit, orange papaya, local cabbage and fried vegetable cakes make each taste of the sauces a completely different experience. Chef Anchalee explains that in the south where some of the firecest curries come from. it‘s important to eat raw vegetables to line the stomach and protect it from the intensity of the curry spices . This is also why many dishes are prepared with Turmeric: satisfying not only taste but serving pragmatic purposes. as well. Our table was laden with an army of local dishes. A delicate, clear broth embraced ﬁve types of local mushrooms in alight, delicious soup that warmed the stomach in preparation for the intensity to come. Large prawns prepared in a tamarind sauce mixed with dried chilis and fresh coriander ornamented one platter while a whole ﬁsh cooked in Turmeric, topped with mounds of fried ginger embellished another. The-signature Chuu Chee. a popular southern dish that can be made with any type of ﬁsh. is slow cooked for approximately half an hour in a curry that can only be described as the melting of a Massaman and Panaeng, and that's not even doing it justice as it's its own exceptional taste. Pungent and rich, yet smooth and creamy, the ﬁsh was served with plenty of the sauce for drenching rice. and topped with loads of fresh capsicum. The dishes are out of this world. but not to be outdone by the Bpla Krapong Mieng. Fried white snapper chopped and mixed with fresh chunks of ginger. lime. shallots. chilli. and local cashews. To eat this Yam - or salad in Thai — it is spooned into giant lettuce leaves and rolled together. The sauce is a simple but precise mix of ﬁsh sauce. lime and palm sugar. It all sounds so simple and easily replicated. Chef Anchalee freely doled out the recipe but as I tried intently to recreate this at home, I quickly learned it's not that easy. it's an unrivaled dish at Anchalee. and no visit is complete without it. We all differed on our favorite dish from dinner as there was no clear winner, and realized that they are all amazing in their own right. The prices are affordable with only one ﬁsh being sold by weight. 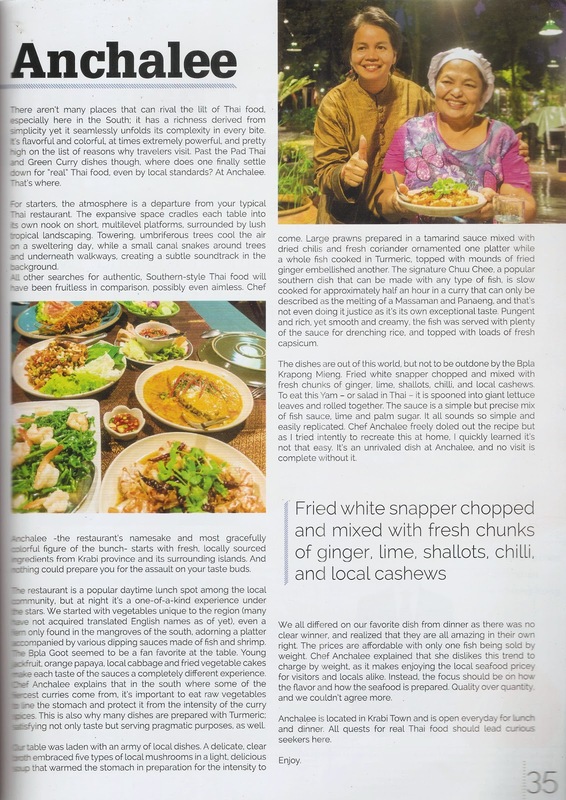 Chef Anchalee explained that she dislikes this trend to charge by weight, as it makes enjoying the local seafood pricey for visitors and locals alike. Instead. the focus should be on how the ﬂavor and ho\x/ the seafood is prepared. Quality over quantity, and we couldn't agree more. 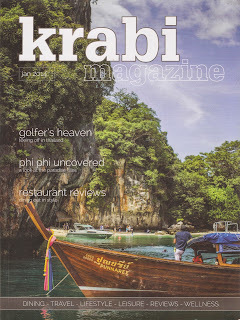 Anchalee is located in Krabi Town and is open everyday for and dinner. All quests for real Thai food should lead curious seekers here.